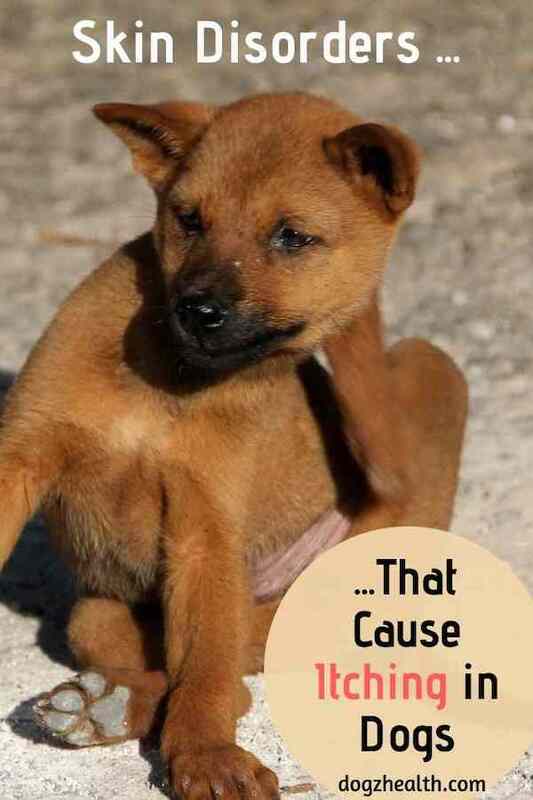 Itching can cause a lot of agony and discomfort in dogs. There are a lot of skin problems that cause itching, such as canine atopy, fleas, scabies, and more. Read on to find out some common dog skin disorders that cause itchy dog skin and skin irritation. If your dog feels itchy, you will notice that he is constantly and incessantly scratching, licking, chewing and biting at the skin. He will most probably also rub his face against objects such as furniture in order to bring about relief. As you can imagine, itchy dog skin causes a great deal of frustration and discomfort to a dog. In serious cases, a dog with severe itchy skin can bite and scratch himself so badly that self-mutation with serious injuries can occur. If your dog shows symptoms of constant itching, try to find out the root cause of his itchy skin. Unfortunately, there are many possibilities that can cause itching in dogs. This page takes a look at some of the most common dog skin disorders that cause canine itching. Canine atopy, or canine allergic dermatitis, is similar to seasonal allergies (e.g. hay fever) in humans. Dogs with this skin disorder are allergic to substances such as pollens, house dust and house dust mites, and so on. It is rather common in dogs and affects about 10 percent of dogs. Atopic dogs usually start showing symptoms when they are young (between one and three years of age). At first, dogs may show signs and symptoms only seasonally (e.g. in spring to fall) but they tend to get worse each year until they show signs all year round. Please visit our page on Canine Atopy for more information. Understandably, dogs with flea allergies have intense itching. They usually also have red bumps on their inner thighs and stomach, at the base of their tail, and along the lower back. Allergic reaction can be immediately after fleabites. But it can also be delayed. That is, a dog may have symptoms of flea allergies long after the fleas have been killed. To read more about dog flea allergies, please visit this page. Food allergies cause non-seasonal canine itching. Dogs with food allergies do not respond to allergy medication, such as antihistamines or corticosteroids. Dogs suffering from food allergies also have red skin and bumps, usually on the ears, back of the legs, and the undersurface of the body. Please visit our page on Dog Food Allergies for more information. Another cause of canine itching is contact dermatitis. This is an allergic reaction at the site of contact with an irritant, such as a flea collar, detergent, or some chemicals. The site of contact (usually the feet and hairless parts of the body) is red and inflamed with itchy bumps. Sometimes the areas will also be painful and oozing (see our page on hot spots). The itching and skin problems usually discontinue upon removal of the irritant. Lick granuloma (acral lick dermatitis) is caused by excessive, continuous licking (usually the front part of the lower leg). The licking leads to skin irritation such as itching, ulceration, and infection. This skin disorder occurs most commonly in middle-aged, large breed dogs. The most common cause of lick granuloma is psychological, such as boredom or stress. Please visit our page on Lick Granuloma for more information. Even if a dog doesn’t have flea allergies, flea bites themselves can still cause intense itching. Fleas usually camp out along the back, around the tail and the hindquarters, because these places are more difficult for the dog to reach and kill them. To check for the presence of fleas, stand your dog over a sheet of white paper and brush him. Look for black and white grain-like materials dropping onto the paper. These are flea eggs and excrement. For more information on flea lifecycle, please visit this page. Scabies (aka sarcoptic mange or sarcoptic mites) are tiny spiderlike parasites that cause intense itching in dogs. Dogs with scabies typically have crusty ear tips. Sarcoptic mites usually attack the skin of a dog’s ears, the elbows and the hocks, as well as the face and the underside of the chest. As a result, you can find various small red spots on these parts of the dog’s skin. Please visit our page on Scabies in Dogs for more information. “Walking dandruff” (Cheyletiellosis) is a highly contagious skin disease caused by the large reddish Cheyletiella mites. It usually affects young puppies, and the mites are found mostly over the neck and along the back, causing large amounts of dry flaky skin in such areas. The mites cause intense itching in some dogs, but itching may be completely absent in others. Please visit our page on Walking Dandruff in Dogs for more information. As you can see, there are a lot of possible skin issues that can cause a dog to feel itchy. If you cannot identify the cause, be sure to get the dog to the vet for testing. 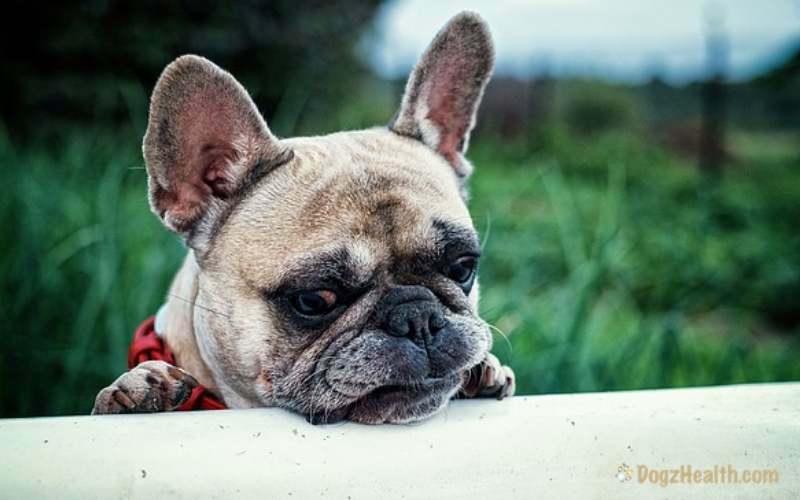 It’s not difficult to imagine that intense itching is very uncomfortable and stressful for the dog, so don’t delay getting treatment for the dog!